This report will be full of the personal thoughts and badly taken photos of a man who has never been in such a huge video game event before in his life. Gamescom was the first event we, as a newly formed website Hyper Light Up, covered back in 2016. Back at the time, only our director, Constantine “Kelfecil” Christakis had the opportunity of attending, since the rest of the team and I had to stay home because of our day jobs. Gamescom 2016 flew by, even though we covered more than 70 indie games and all that because we had a sweet setup as to how we were going to make that work. 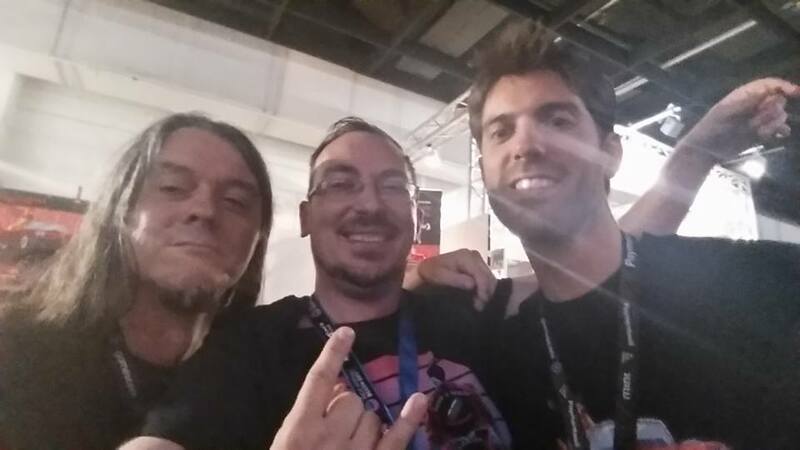 Constantine would roam around the indie booths, he would interview the devs, then come back, send us the info and the photos and at that point we would take over, finishing up the articles, publishing them and sharing them on social media. For four days I would come back home from a ten hour work, get on my PC and start putting down the interviews in the articles. It was exciting because I was doing something I love, feeling the pulse of gaming from a much different perspective. Not only that, but I also got to learn about indie games I played from the creators themselves. Gamescom 2016 was most definitely fun. 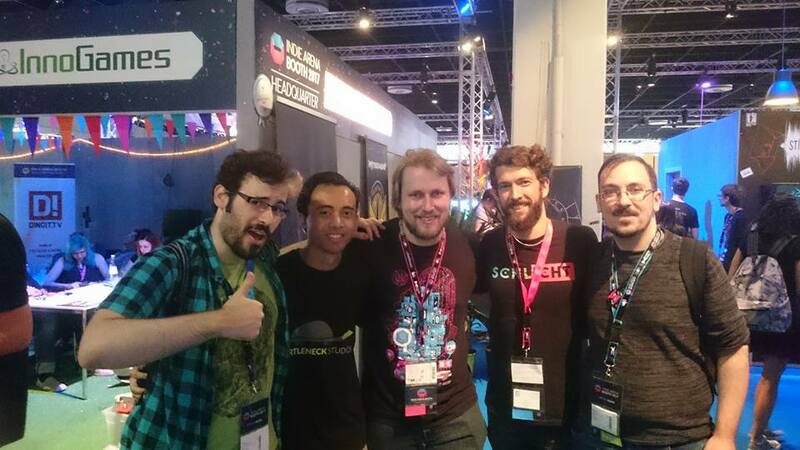 The moment Gamescom 2016 was finished, we talked as a team and thought that it would be great if we did the next one together. Needless to say that I wouldn’t miss this chance to be in the heart of gaming. 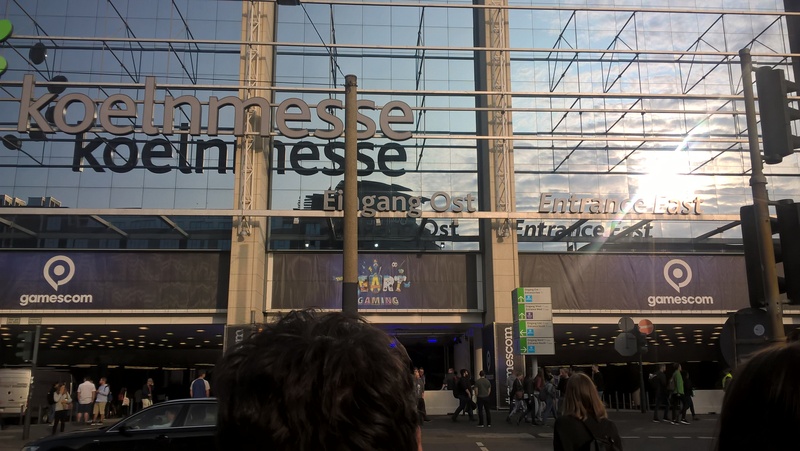 The year passed quickly, the time came so I took some days off my day job and was ready to attend Gamescom 2017. I do have to mention that I had never met Constantine from up close before. We have worked together for more than 1,5 year, since our first days together at IGN Greece, we have talked almost daily online, but I had never had the chance to meet him up close yet. So Gamescom 2017 was a great chance for us to actually meet and talk about a thousand different things we usually like to talk about up close, which was great. The day comes and after a pretty eventful trip, full of delays, I finally reached my destination; Cologne, Germany. I met Constantine and Marilena, our photographer, at the Central Station and it felt as if we already had known each other since forever. We immediately started cracking jokes about the punctuality of the trains while walking towards the trams to go towards our apartment. Constantine has a very good friend that he made from his Netrunner activities, Markus. Markus would let us stay at his apartment for the duration of Gamescom and we got to meet him for a while when he came to give us the keys. Let me just tell you that, Markus is the kind of guy I could easily sit down at the sidewalk with a pack of beers in the middle of the night and talk for hours. He is exactly the kind of guy I would hang out with when I was in university, that kind of laid-back person. His place is a beautifully made bachelor apartment, full of wargame miniatures, hand made castles, board games and books about architecture. It is above a bakery and right next to a supermarket, so our supply needs were always covered when needed. Plus it has one of my favorite views, a big window overlooking the street where I would sit and drink my tea. So, we got comfortable and went early to sleep because we had a long day coming. Organization wise, we were even more prepared this time. We prepared the articles beforehand, putting all the relevant information and links about the game in each article before the event even starts, so that when we got the interview, we would only have to edit it, schedule it for publishing and then post it on all our social media. Tuesday was the day open only to the press and trade visitors, so we woke up at 7 in the morning, made some sandwiches to take with us, a big bottle of water and headed off to Koelnmesse, the place where Gamescom took place. Needless to say that the place is huge and you can easily get lost in it. I definitely did many times. We got our press passes at the entrance and went straight to hall 10.1. Now let me describe how we approached Gamescom this year. Constantine had set up interviews with the developers in the Indie Arena Booth beforehand, so we had three full days of interview meetings, starting from 9 in the morning up until 4 in the evening. On Friday and Saturday our schedule was relatively empty so we would have the chance to roam around and interview whoever we thought was interesting outside the Indie Arena Booth or developers of the booth we had not approached before. We would perform the interviews either together or on our own. Many times we would split so we could cover as many games as we could. We did interviews, took photos and when the day was over, we would write the interviews so that Filippos “Snow” Alexandris can take them from a list, put them on schedule for publishing and then share them on social media the next day. 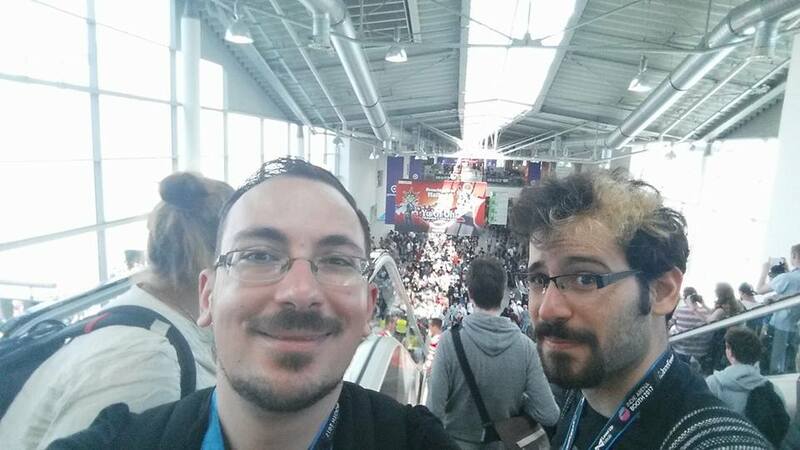 First thing we did was meet with Florian Masuth, the PR person of the Indie Arena Booth. 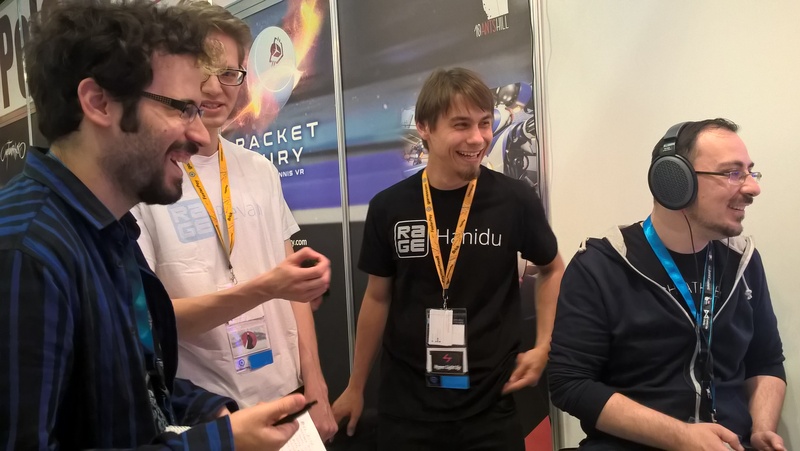 We talked with him about this year’s Indie Arena Booth and how it was improved over the last year and also we got to try the new game he and his team THREAKS are developing, All I Have Is Time. I will not go through every person and interview we did, since they were all unique and awesome in their own way. There is already a recap of all the 78 interviews we conducted this year, so definitely go and check that out. From here on out, these are my thoughts for this huge event that was Gamescom 2017. Firstly, the organizing of the Indie Arena Booth was incredible. Every developer in it had an adequate space to showcase their games, with a huge poster above the game stations that caught the eye of the visitor. That helped us greatly, especially in the first couple of days when we were looking around to find the game devs we had scheduled to have a meeting with. A smart addition this year was a small meeting booth where members of the team and devs could go and have some down time, chill or even take a nap there. We used that place many times to talk with developers while sitting in the comfortable chairs and believe me, when you walk for 5 hours straight, sitting down is exactly like finding an oasis in the desert. As a first timer in this event, I was impressed by how much attention the developers gave to their booth. I would visit and pay attention to all the small details on them, plushies on the tables, designs to represent the theme of the game, booths made with love. I would walk two meters from one booth to the next and I felt as if I was entering an entirely new world. One of the most charming booths that was really imprinted in my mind was the one the developers behind Fugl did. It felt like entering a space designed for meditation, with green plants, colorful posters and a nice lamp that, together with the theme of the game, took you in a calm and peaceful place in your mind. Another thing that made me feel great while I was there, was how excited the developers were to talk about their game. Hyper Light Up is a small outlet and we do this because we love it, because this is actually our passion. Our goal is to bring as much quality coverage as we can for indie developers of any kind. It is great to see that it feels very much the same for the indie developers too. We talked with so many people excited to showcase their creations explaining all the intricacies behind their ideas, how they got them, why they do what they do and were also excited to talk about their teams. A nice example would be that of a developer that told me that the creation of his game was his way of coping with his breakup with his girlfriend. The developers would take time outside the interview and talk with us about the industry, about their future plans, behind the scenes information on game development and also about their lives. Now, and this is pretty important, this event is first and foremost an opportunity for the developers to make their passion a viable business and we understand that completely. We approached it this way too. 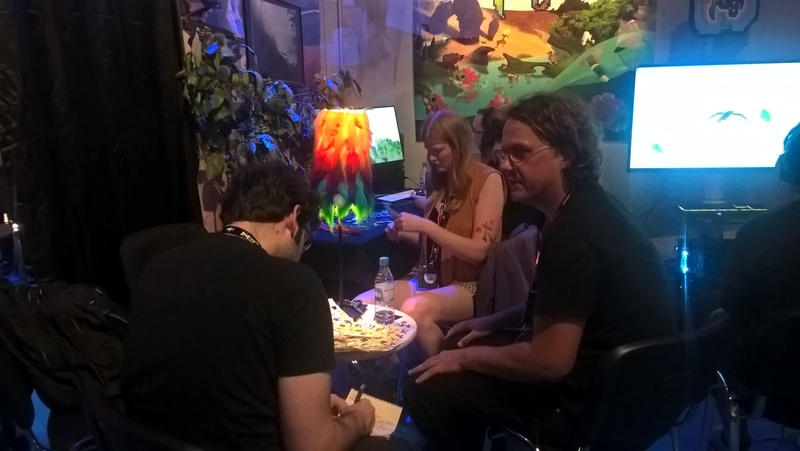 We attended Gamescom in order to do our job, covering the art that is indie games (as we very much like to say), the best we can. We were walking the whole day talking with people and when we got back home, Constantine and I would write 10 articles each (maybe Constantine would write a few more since he does that for a living and he is twice as fast), trying to leave nothing out. It was deadly tiring if anything for us and I am certain that it was that way for the developers as well since they had to stand from the beginning of the day till the end. But the passion never left and the excitement of being in a place like this was there day after day. We have a single goal when we attend an event like Gamescom. We want to cover as many indie games as possible. Our interviews are not as much in-depth or as detailed as we would like (or as much time would allow) but that is not the point. We want to focus on coverage and more so on providing a way for the developers to show their creations and talk about their teams and their inspirations. In depth interviews will come in the future, when we play the games from start to finish and they have left an impression in our minds. But for now, I feel as if we have done a good job all things considered. The very first time I touched a videogame was back in 1988, on arcades, when I was five years old. I never thought I would be in a place where not only I would write about them, but I can have the chance to attend such a huge event as a journalist, meeting people from the gaming industry that actually create the games that my children will grow up with. The most surreal thing is that I met and interviewed a couple of legends that were involved with games that I played when I was still a kid. First and foremost, I finally got the chance to meet Elmobo. For those of you who don’t know him, he is a metal producer and a videogame composer. He did the music for Nightmare Creatures that was on Playstation 1. I would play the demo that came with PlayStation Magazine again and again back in 1998. 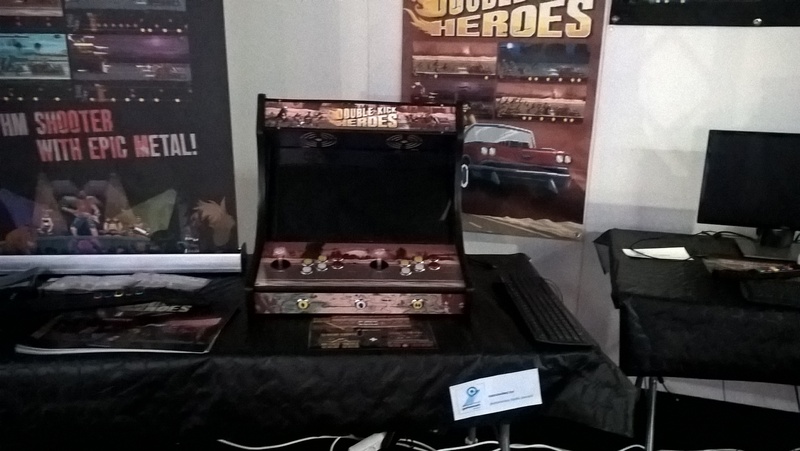 Elmobo was at Gamescom to show the beta version of Double Kick Heroes (which by the way also won the best indie game award) together with the incredible pixel artist, Gyhyom. I was familiar with them already through my other occupation, music production, and to finally meet them personally was immensely exciting and a huge pleasure. The other guy I met was Jon Hare. Let me tell you a quick story on that. The first actual musical theme from a game that I remember getting stuck in my head was the one from Cannon Fodder, when I first played it on Sega Mega Drive. Before YouTube was a thing, we had a pc magazine back in Greece that would give, together with demos, some very interesting stuff, like the Cannon Fodder theme performed only by game controllers. I would watch this video again and again and the idea at that time together with the performance was incredible. And finally, I got to meet the composer of the theme, Jon Hare, who also performed with Press Play On Tape at that video. Surreal. All fanboyism aside (I am too old to be considered a fanboy of anything at this point), my point is that this year’s Gamescom offered me experiences that will stay with me forever. Which leads me to the thank you section. 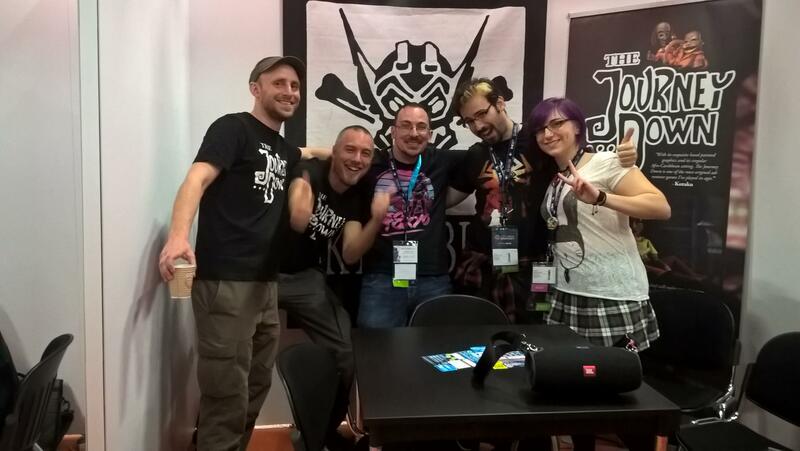 Huge thank you to Oliver Eberlei, Florian Masuth, Jana Reinhardt and the whole Indie Arena Booth staff. You allowed us once more to attend this event, helped us with our passes at a pretty critical moment and meeting you confirmed my belief that you are all incredibly amazing people. From all of us here at Hyper Light Up, we love you guys and we simply cannot wait to see you again next year. Thank you Markus for letting us stay at your place and I hope next time we have more time to hang out. Thank you Constantine because meeting you way back at IGN has offered me so many exciting moments and opportunities in the gaming world. Finally, thank you to all the 78 developers who took the time to talk to us with such passion about their games. Shoutout goes to Double Kick Heroes; I love you guys, Rite of Ilk; I hope you have a great time on your vacation, it was lovely talking with you, Code 7; it was great meeting you Zein, Deru; sorry we broke your game guys, we really love it, Semblance; you are such a positive guy Sugar, glad I got to meet you, The Journey Down; Theodor you are pretty awesome man, the Surprise Attack team; thank you so much for giving us the chance to talk with the developers of Orwell and Hacknet. 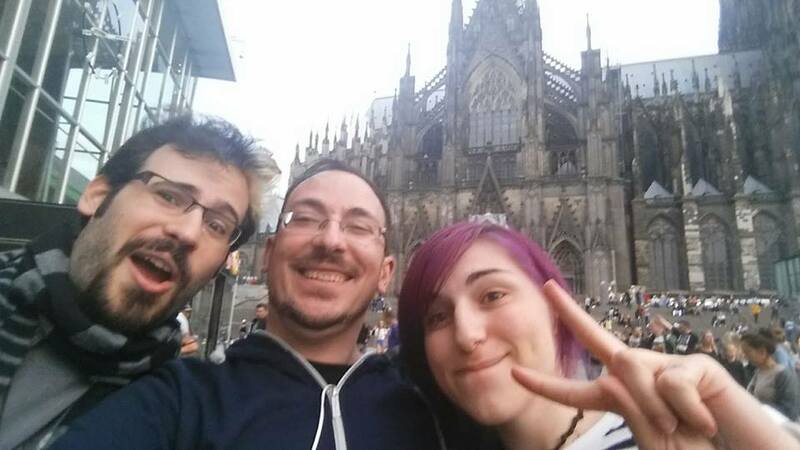 That’s all for now and all I can say is, I hope to see you all during next year’s Gamescom!